It’s fun remembering the times in the past when we, as World of Warcraft, had to battle against server queues, errors, and latency during the original launch of WoW. With Diablo III, we’re returning to that bygone error of collapsing servers, random error messages, and the super fun emergency maintenance. Since every WoW player imaginable is piling into D3 right now, let’s take a moment to remember the fun times we’ve had with the launch of WoW while error 37, 3006, and my personal favorite “There was an error.” frustrate and infuriate the masses. Blizzard has had a few rough launches and a few smooth launches. The WoW official launch was a circus show and rightfully so. Blizzard was one of the biggest names in PC gaming (albeit, that hasn’t been an impressive for over 10 years, with the whole death of PC gaming and PC gaming being nothing more than ports of console games), infamous for StarCraft and WarCraft III which should have been pre-installed on any computer with a proper video card. World of Warcraft took the world by surprise. It had a decent amount of hype leading up to it, the Internet was excited but, to most, it appeared to be just those really into Blizzard games. MMOs were not super popular back then. EverQuest had, at that time, layers of stigma attached to it poisoning the public’s perception of MMO gaming and your choices was EQ, Ultima Online, Dark Age of Camelot, or one of the varied eastern free-to-play beta experiences. At launch, things took a turn for the bizarre. Blizzard’s forecasts for the game were dead wrong, the swell of players flooding servers was too much for them to handle. Stores were selling out of the game fast and online vendors were taking orders left and right. When they flipped the servers on, the little light flicked from “on” to “burning on fire please help” as server queues reached the 1000s. The servers were crashing harder than burning ship trying to walk into Mordor. That wasn’t the first time Blizzard underestimated their fanbase. WarCraft III suffered from about a month of launch hiccups too, with their Battle.net service having intermediate availability as box copies of the game, which at the time were not available online, were selling out faster than they expected in certain markets. After the initial release of WoW, we were greeted to three rather nice expansion launches. 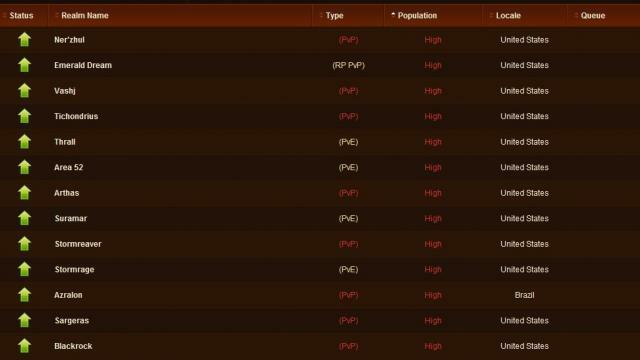 The Burning Crusade had the most issues, with server outages the first week, but it was quickly forgotten. Wrath of the Lich King came out perfectly fine, and Cataclysm, if I remember right, didn’t even have server downtime. StarCraft II launched without much of a problem or at least one that I can specifically remember. I’m sure some people had hiccups, but nothing major. Now we sit with Diablo III. Currently, my achievements are not saving whenever I got a little bit of playtime in between games being terminated, error 37 keeping me from logging in, or me being in some kind of ghost party state attached to the wrong quest right before I finish something. Rubber banding, a popular memory from WoW’s launch, has returned. History taught us that Blizzard didn’t have enough servers for the concurrent mass of players who wanted to play WoW back when it launched. The problem was resolved as additional servers came along, server hardware (or player capacity) was improved, and eventually everything was resolved to the sweet goodness that is WoW’s current stability. Blizzard didn’t believe that they needed so many servers to handle so many logins (ergo login crashes), so many characters being made / played (ergo the character server going down), and so many players logging into specific servers (and the rubber banding, loot latency, and general server specific crashes). Their figures were wrong, of course. The reasons the expansion launches were smooth is because the server capacity had been expanded and there wasn’t necessarily a new onslaught of players. The only exception was The Burning Crusade, which brought back a ton of players who unsubscribed (which, in general, overloaded the servers). 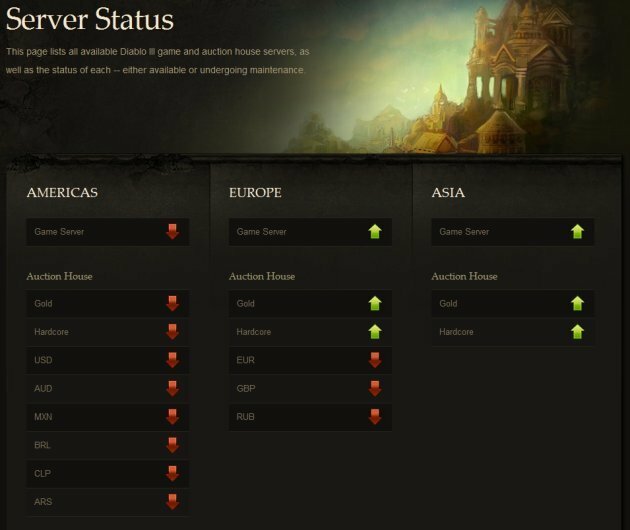 Diablo III is suffering from a similar issue, except Blizzard knew ahead of time how many players were coming. It’s no surprise that the game has sold as many copies as it had. At my midnight launch in my town, the parking lot was jammed full of cars and D3 fans were in a very long (but fast moving line) to cash in their preorders. What we’re experiencing now is that Blizzard is seeing the most online users for its game that it’ll see until an expansion is launched (and maybe never even then). Let’s say that there are a million players trying to log in today. A week from now, that’ll be 100,000 (if that). So why should Blizzard, at least in their minds, pay out for the server capacity for one million players when they will only need to supply service to 100,000 (or 10%) at any given time a week after launch? Sure, capacity should be at a point where we can freely login, but at the same time, I think having a bit of a hiccup on day one or day two is reasonable, as long as it doesn't continue. At least in this modern age. Sure, we can whine and we can cry and we can scream that Blizzard isn’t providing us with a service we paid for. After all, you have to be online to play even single player, but before everyone jams their DRM attack hats on, Blizzard has sort of a valid excuse – duping. Single player mode allows the secret mojo to be seen by ner’do’wells who can work on legit hacks. On the other hand, we have to be a little bit more patient. Star Wars: The Old Republic players got very impatient, demanding servers and server, and then when the initial rush died down… many of those added servers are very low population. A similar problem Blizzard ran into with high and low population servers and free character transfers. In the meantime, you’ll find me on StarCraft II, playing the Diablo III RPG map. What are your thoughts on the subject? Are you logged into WoW spamming trade with ERROR 37 and some troll like remark or did you mark the 21st as the “real” launch date and will be chilling out until then?